Ed Sheeran: I’m sorry Miley! 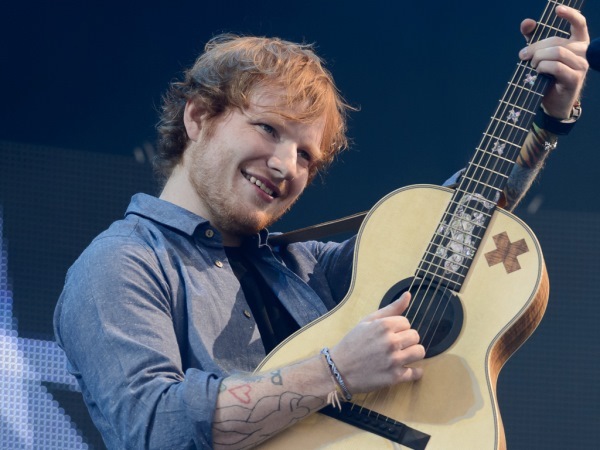 Ed Sheeran is ashamed of slamming Miley Cyrus at the Grammy Awards. The star tried to explain his behaviour, insisting the intention was positive. He blames his choice of phrasing for causing a feud between the pair. Ed has since admitted that he had a few drinks at January’s Grammy’s before hitting the red carpet and talking freely. He took aim at Miley’s raunchy dance moves in one of her music videos. In his new interview, Ed also claimed it’s perfectly OK that his friend Taylor Swift sings emotional songs about her ex-boyfriend, One Direction star Harry Styles. He noted that she’s the only person who seems to be called out for her message-driven tracks. “She’s right, man,” he said, taking Taylor’s side over that of Olly Murs. Earlier this week, the British songwriter and television presenter slammed the songstress for writing about Harry too much. He has since apologised. The hitmaker also made a point of expressing his sentiments on the pairing of his friend Johnny McDaid of Snow Patrol and actress Courteney Cox. He dismissed claims that he was responsible for them meeting, but applauded the match. “I class Johnny as one of my best friends. I’m so happy he’s met someone as amazing as Courteney,” Ed gushed.